How Long For Content To Rank? The number one struggle I face with pitching clients and showing them the value of SEO, is that it takes time. Whereas pay-per-click advertising and social media can be spun up relatively quickly and provide a return on investment rather quickly, SEO is an annuity investment. To make a relevant analogy: you can’t invest money in the stock market today and expect dividends tomorrow. The money you invest today is done so with the understanding that it will provide value later. SEO is similar. That’s helpful, but does their large scale study align with actual first hand findings? Sure there’s value in a larger data sample, but having actual anecdotal data would certainly help reinforce those findings. Fortunately I have that data. Across multiple clients in multiple industries, I can highlight examples of pages that rank well for target keywords, but didn’t reach full potential until months after they were published. I’m sharing these examples so that both consultants and clients can form realistic expectations for SEO campaigns, which is something I believe this industry can and should do a much better job at. This particular page targeted “rental cost” keywords which are fairly low volume but highly relevant in the client’s industry. The client was hesitant to discuss pricing, but competitors were doing it, so we pushed them to create their own page. Not only does it drive meaningful traffic, but it has resulted in ~3 leads per month since it was published 16 months ago. These two pages were both created as part of a large content initiative – more than 120 pages of long form content over a one year period. Notably, they both saw steady growth and then marked increases in January 2018, possibly as a result of an algorithm update. This page saw long periods of inactivity in the very competitive healthcare space, before eventually moving into ranking positions that drive meaningful amounts of traffic (this is also a result of other improvements made to the site during that time). This example comes from a mom & pop retail store. A blog post that I wrote eventually moved into top ranking positions for some industry head terms, outranking even the brands that the retailer sold in their store. Unfortunately, the business owners did not continue digital marketing efforts after I left my position there, and the content did not retain its visibility in search results. The last example comes from my own website (which has lower site authority than any of my clients). While not initially a large traffic source, an analytics blog post I wrote moved into top positions (including the answer box) over a period of one year. The key takeaway here is that firsthand data supports the study that Ahrefs did – that content may take months or more to move into top ranking positions, especially for competitive keywords. Site authority absolutely helps – two of the sites included here had domain authority ratings between 50 and 80, which is a rough indicator that they’re authoritative, especially in their respective industries. With some of the examples, we did employ other tactics like building internal and external links. All pages were submitted to Google Search Console after publishing to make sure they got crawled as soon as possible. Also obvious is the fact that none of these pages were in a vacuum meaning that there were other marketing (and SEO) initiatives that could’ve contributed to better rankings. Nevertheless, there is a clear pattern showing that even highly optimized content on authoritative sites doesn’t always achieve top rankings immediately, and SEO continues to require patience. WordPress is a brilliant CMS that offers a plethora of SEO functionality out-of-the-box. 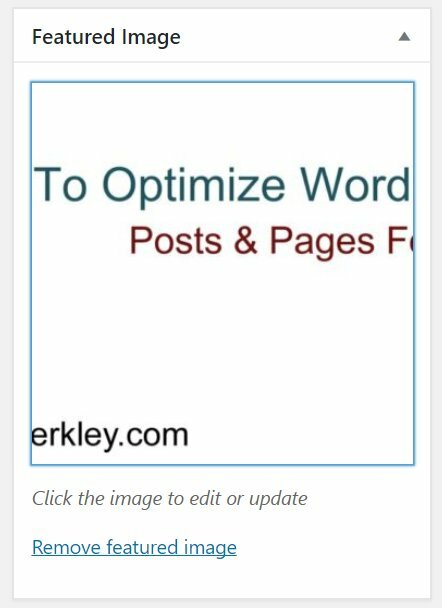 But like any piece of technology, default settings won’t be enough to truly maximize its potential.This post will show you how to optimize a WordPress post (or page) for SEO purposes. While WordPress is good out of the box, it needs an SEO plugin to take it to the next level. The gold standards are either Joost de Valk’s Yoast SEO Plugin or All In One SEO Pack by Michael Torbert. 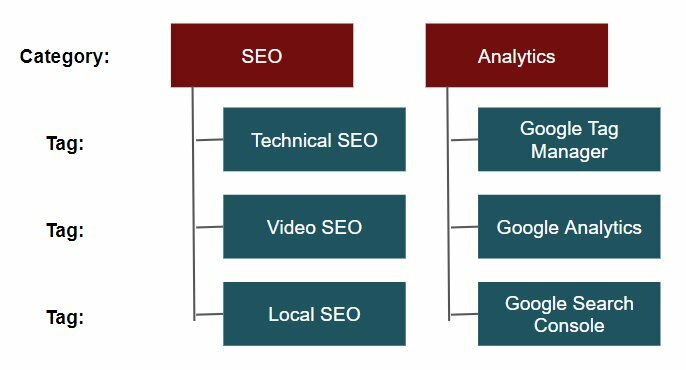 Both add critical functionality for SEO purposes, so make sure you have one installed. No amount of optimization will help if you’re targeting topics with low or non-existent search volume. The same can be said for high volume (and high competition) topics. You have to pick topics and themes that are realistic and within your wheelhouse to achieve SEO success. First we’ll start with the post content itself, focusing on how to structure the page with H headings and overall content length. Start by adding a post title. In many WordPress themes, the post title will also be present on the page as an H1 heading. Pages should only have one H1 heading and it needs to be keyword-rich and descriptive of the post’s content. The H1 is the first text a visitor sees when they hit the page. In addition to H1 headings, it’s increasingly important to structure pages with additional, nested H headings like H2s, H3s, H4s, etc. These should also be keyword-rich and describe the subsequent paragraph. On this very page you’ll see a clear structure where paragraphs are ordered and grouped by similarity and marked up with a clear hierarchy of H headings. If you know your subject matter and audience well, developing a hierarchy of H headings may be second nature to you. If not, performing keyword research can typically reveal different subtopics and then you can apply common sense to order them in the method that makes the most sense for visitors. To break up content and make it more digestible, use ordered lists (numbered lists) and unordered lists (bullet points) where applicable. Using these with a keyword-rich H heading may result in securing a featured snippet (answer box) in search results. Anytime you’re describing steps, consider using an ordered list. If you’re listing several things using commas, try bullet points instead. This is not only helpful for SEO, it helps readers digest a page more easily. Content length is much debated and the honest answer to “what’s the right length” is that there isn’t one. If the content is engaging, people will read it. Know your audience, write quality content and you’ll succeed. With that being said, 250-300 words is commonly considered the absolute minimum for SEO purposes. Less than that and search engines may deem the content thin. It will be incredibly difficult to add a meaningful structure of H headings to a page with 300 words. I recommend content that’s a minimum of 500-700 words. 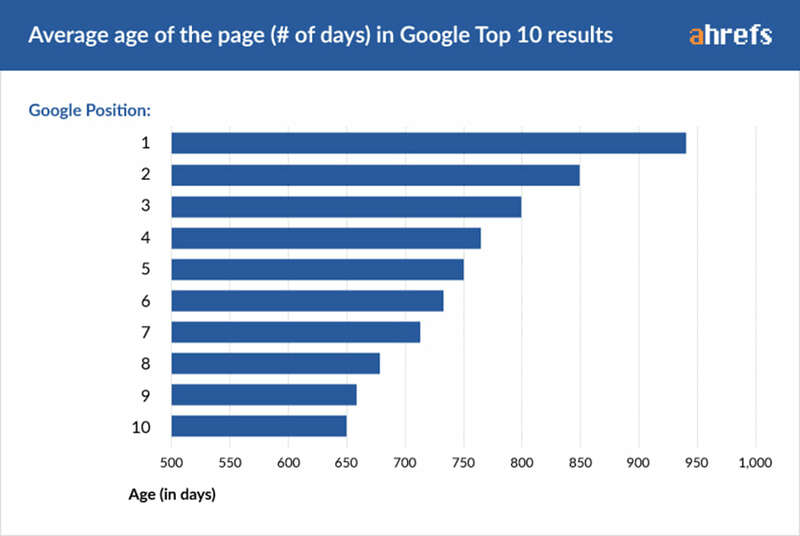 In many cases, long form content can do wonders for SEO and when I say long form I mean 1,000 words or more. Most of my successful posts are detailed how-tos in excess of 1,000 words. Your mileage may vary – put your focus on writing good content and worry less about the length. Video, images and media are also great ways to break up text-based content and provide additional value for visitors. Would the topic you’re discussing be more easily understood if a visual were added? In many cases, yes. Here I’ll discuss ways to optimize media for SEO, and also for visitors with disabilities or impairments, who may not be able to consume images, video or audio. Images can be improved for SEO by using filenames, alt text and by optimizing image sizes (for site speed). Because search engines can’t visually determine the contents of an image, these optimizations allow them to understand image content, helping the page rank better and helping images to rank in image search results. Additionally, visitors with visual impairments may not be able to see images, so these optimizations help them consume and understand multimedia content. Including keywords in filenames can have impact. It’s not huge, but every bit helps. Use descriptive keywords in filenames when possible but don’t start keyword stuffing – make them descriptive and methodical. Include image alt text when possible. The alt text is never seen by visitors unless A) the image doesn’t load or B) the visitor is impaired and the alt text is read to them. Both of these scenarios help visitors understand the content of the image, even if it can’t be seen. For that reason, make your image alt text descriptive of what’s in the image and avoid keyword stuffing. Your images should only be as large as they need to be. Often, GIANT images are scaled down to a much smaller size with HTML. The problem is, if you have a giant image with an enormous file size, browsers have to load the entire image, even if it’s being displayed at a much smaller size. That slows down page speed, especially if there are multiple large images on the page. Make the image as big as it needs to be. If the image will be displayed at 900 pixels wide, then make it 900 pixels wide. Secondly, use JPG images instead of PNGs – JPGs are significantly smaller in file size. If you don’t have an image editing program, you can do it right in WordPress from the Media Library menu. Add a featured image. The featured image will be used as the default image when a page or post is shared on social media, although this can be changed for different social networks. Similar to images, video content also has opportunities for on-page optimization. Video content is equally hard for search engines to understand, so we optimize by adding context in other ways. 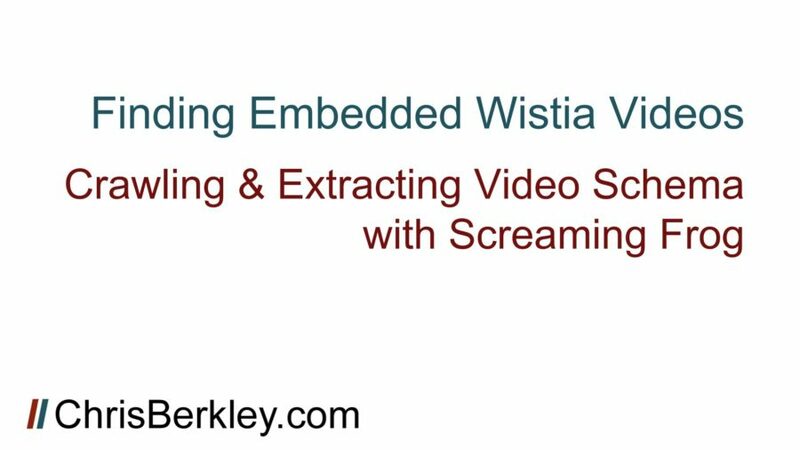 Embedding video content on WordPress posts or pages is quite easy, especially for YouTube, Wistia and Vimeo. With any of these three, you can simply drop the URL into WordPress’ WYSIWYG editor and it will automatically embed the video. Embedding videos on-site is a great way to get more views and provide a superior user experience. YouTube and Vimeo users are not as fortunate however, and must add Schema manually, preferably using custom fields. JSON is Google’s preferred version of Schema and creating the Schema is not difficult at all. Schema gives search engines additional information about videos, such as the video’s title, description, length, upload date, etc. Schema is the only way for search engines to get information about video contents. "description": "Follow this 10 minute guide to set up Google Analytics goal conversion tracking for Contact Form 7 submissions using Google Tag Manager. 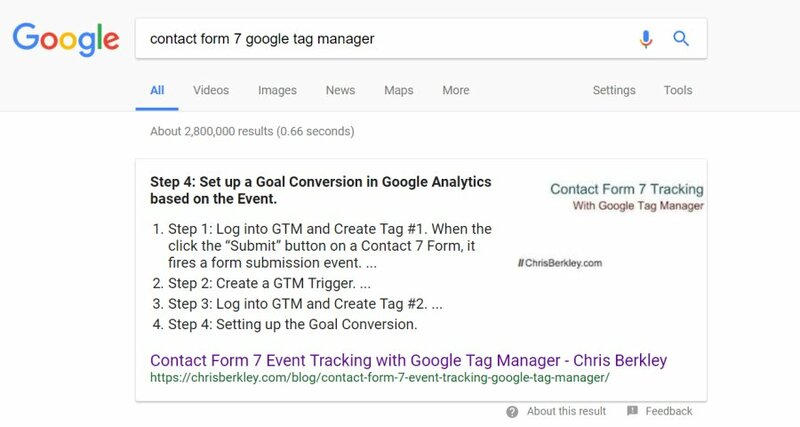 If you have a WordPress website and you use the Contact Form 7 plugin, you can use Google Tag Manager to create events and set up Goal Conversions in Google Analytics. Then you can attribute form submissions to different marketing channels and campaigns that you're running. This guide not only shows you how to track submissions, but also ensures that you're only tracking successful submissions where mail is actually sent. It also allows you to specify which forms you want to track, based on the form ID built into the Contact Form 7 shortcode. Transcripts can be really critical. Not only do they give impaired users a full transcript of the video’s content, but they can be keyword-rich and help a page rank if the video is especially relevant to the target keywords. I don’t always include transcripts, but often recommend including them in an accordion drop-down, so as not to disrupt the flow of existing text on the page. If the page doesn’t have much additional text, transcripts can easily be adapted into blog posts. Meta data is still really important for SEO. Both Yoast’s plugin and All In One SEO make it very easy to add a title tag and meta description, even warning you if you approach character limits. 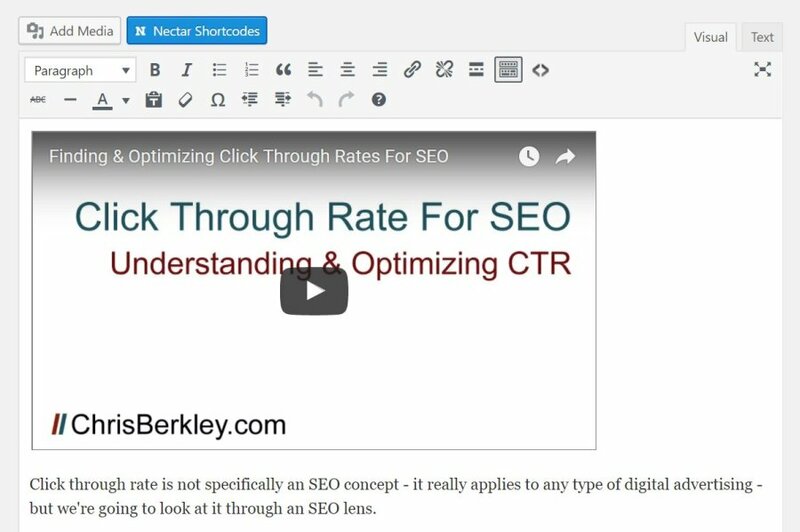 Using your chosen SEO plugin, write and add an optimized title tag. Shoot for 45-60 characters. Excessively long titles will be truncated in search results. Meta descriptions should be up to 230 characters and describe the page’s contents – be as descriptive as possible. Meta descriptions are the key to encouraging searchers to click through from search results and can have a big impact on click through rates. Tell searchers what value the page will provide and what they’ll find. Include branding if possible. End with a CTA telling them what to do once they land on the page. 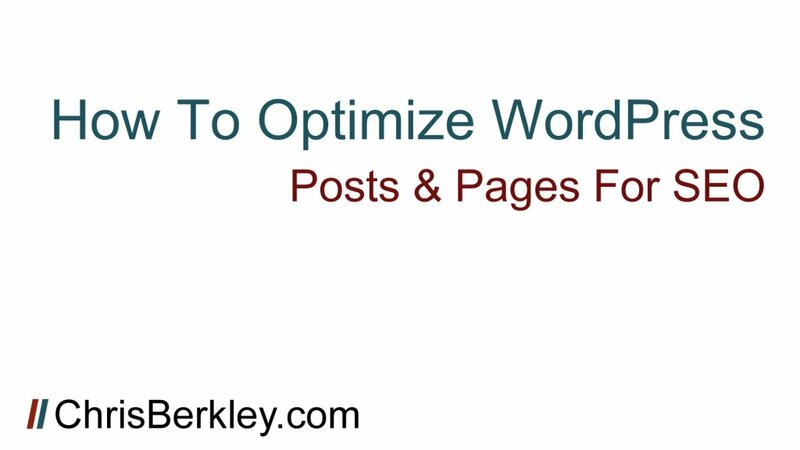 Optimizing WordPress posts and pages is critical for SEO. Follow this comprehensive guide to make sure your content is FULLY optimized, using all of WordPress’ advanced functionality. SEO plugins make it easy to add Open Graph and Twitter Card markup to the page. 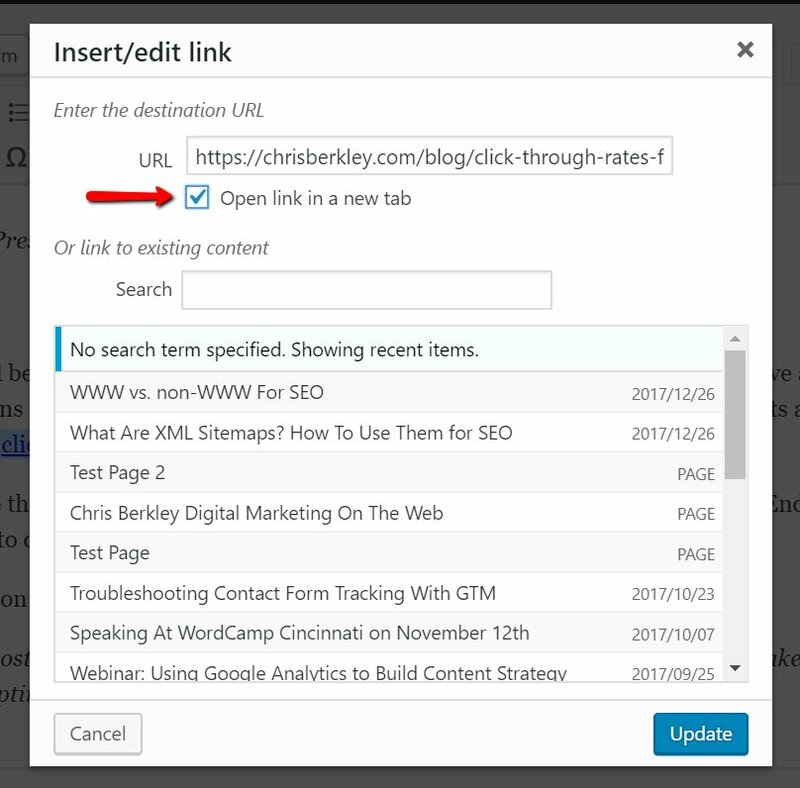 These meta tags are specifically for social media and add rich snippets when URLs are included in social posts. Even without social markup, most social networks will pull the page title, description and image to create a rich snippet. However, these aren’t always optimal – they frequently pull the wrong or completely irrelevant images. Optimizing this markup allows you to customize titles, descriptions and images for use on social media. Open Graph is a standard markup most notably used by Facebook, LinkedIn and Pinterest. The two SEO plugins I mentioned before automate the creation of Open Graph markup using the title tag, meta description and featured image that you’ve added to the page. However, they also allow you to customize these fields specifically for social media – this is especially easy using the Yoast plugin. Say you wanted to add a catchier title/description/image for use on social media. You can do that without impacting your SEO efforts by changing the title tag & meta description that Google uses. Rather than use Open Graph markup like most other networks, Twitter elected to create its own (very similar) markup called Twitter Cards. You can customize these too just like Open Graph markup. Internally linking pages is really important for both visitors (they can find related content) and search engines (can crawl the site more easily). Internal links can be added in a number of ways, but some are more valuable than others. Body copy links are arguably the most valuable, assuming they’re done naturally and in moderation. No one likes a page where every other sentence is a link – it’s incredibly distracting and results in a poor user experience. Use links where they fit naturally. 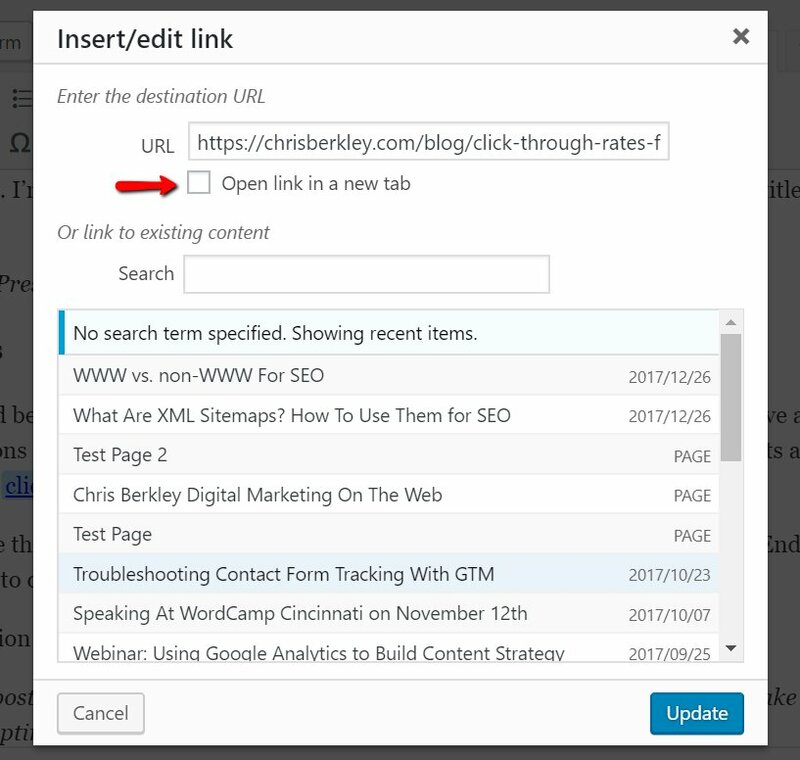 Internal links (links from one page on your site to another page on your site) are valuable for helping visitors find related content and improving the ability for search engines to crawl the site. I recommend setting these to open in the current tab. Linking out to other sites is fine too. If there’s a page on another site that would provide value to your visitors, link out to it. I recommend opening these in new tabs, to encourage visitors to stay longer on your site. Anchor text is the phrase that gets hyperlinked to another page. You should aim to use keyword-optimized anchor text, especially for internal links (keyword-rich anchor text is not as necessary for external links). There are several links within this article that link out to other related topics, using anchor text keywords relevant to those topics. Use Categories and Tags methodically. Keyword stuffing them has no benefit for SEO purposes. Instead, they should be used to help visitors browse the site to discover related content. Additionally, Categories & Tags have a ton of value for search engines as they make it easy to crawl the site and find additional pages. Categories & Tags are the first line of defense against island pages and semi-automate internal linking. However, blog category pages typically contain dynamic content (unless setup otherwise) and typically don’t present much value for ranking purposes. Build out some pre-determined Categories & Tags and stick to them, adding new ones as you go. Avoid using the same categories as tags and vice versa. Think of Tags as sub-categories. Below is a sample diagram of a Category-Tag structure. Authors should have photos & biographies describing who they are. There’s no inherent SEO value here (not anymore), but it shows readers who actually wrote the content. I always include links to my Twitter page for people to ask questions about my content. Schema (Structured Data) helps search engines crawl and index web pages by specifying specific pieces of content. There are many types (I won’t describe them all) which can be found at Schema.org. 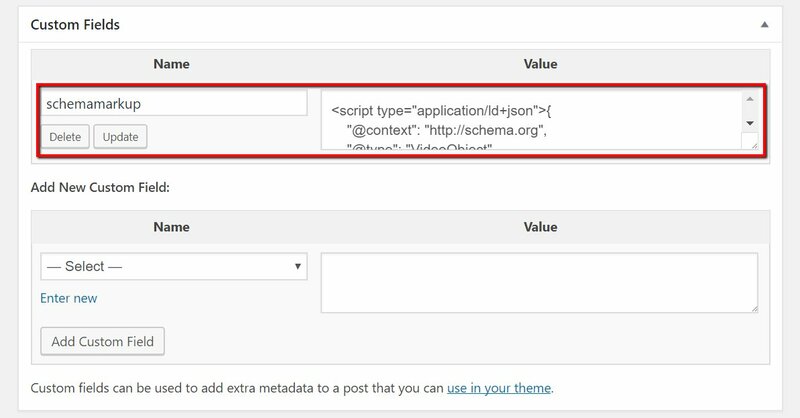 I recommend following Torquemag’s guide to setting up custom WordPress fields for Schema. 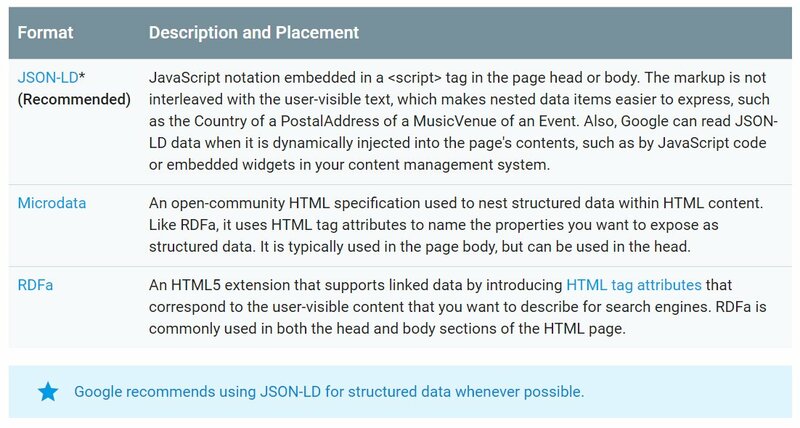 You can also read more about Schema and Structured Data with Google’s developer documentation. When you save your post or page as a draft, you’ll see that WordPress automatically takes the post title (H1) and also uses it for the URL. In this case, you may choose to edit the URL, but make sure it’s still keyword-rich. You want your most valuable keywords in the URL. If you’re creating a page (not a post) you’ll see that you have the option of selecting a parent page. Should you add one? It comes down to site structure and strategy. If the page you’re creating falls naturally as a child page to another page, then take advantage of it. Adding a child/parent page isn’t a silver bullet for SEO. 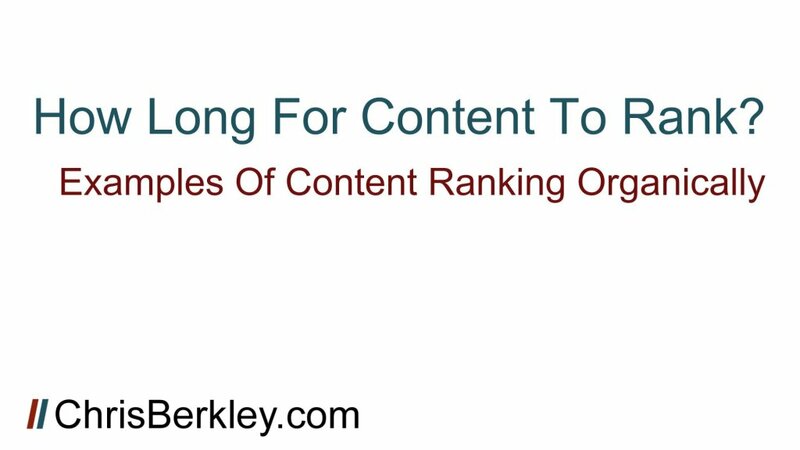 It’s part of a bigger SEO strategy centering around how content is structured on your site. If have a careful hierarchy built out, adding URLs that reflect the site structure is icing on the cake. Following these steps can be the difference between content that ranks and content that doesn’t. Content has been increasingly important, especially as backlinks have become less influential as a ranking factor. If the number of steps seems intimidating, download this checklist and integrate these steps into your content publishing process. If you’re making videos for YouTube and you also have a website, you may want to create landing pages for each of the videos you make. Chances are you do some amount of SEO and creating landing pages will help you get more mileage (and more views) of that content. People visiting YouTube directly is just one way to acquire video views. YouTube videos can also rank in organic search results just like pages. Similarly, a landing page is one additional opportunity to rank for targeted keywords, and embedding a corresponding video on a landing page can result in more video views from people who click on the web page itself and then view the video on the site. For the purpose of this post, I’ll assume you’re already familiar with keyword research and how to optimize YouTube videos for SEO purposes. 1. Copy the YouTube URL. 4. Paste the URL right into the Visual editor, wherever you want the video to appear on the page. 5. The YouTube player should render almost immediately. There’s no reason to do it this way, but if you really want to, here’s a more manual way to embed a YouTube video. Go to the YouTube video in question and underneath the video title, click the Share menu option. From there, click on the tab that says “Embed” and copy the iFrame code. 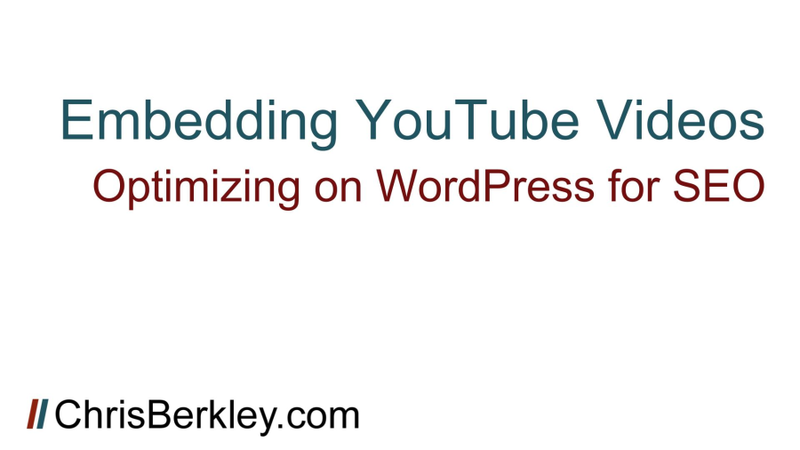 This is the code you’ll be using to embed the video on a WordPress post or page. Log into WordPress and edit the post or page in question. From there, go to the Text editor by clicking on that tab in the top right corner. This will show you the page’s copy in HTML form. Paste the embed code wherever you want the video to appear. 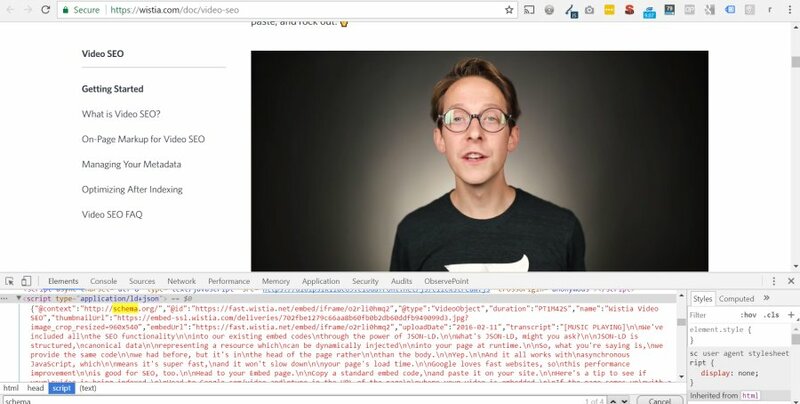 If you want to take your embed game to the next level, add VideoObject Schema markup to the page or post. My preferred way is rather manual and here’s why: I have not been able to find a plugin that will add Video schema (lots of plugins do other fields except video) AND doesn’t create some hideous gray box at the bottom of my post page (as some plugins do). Since Video Schema is for search engines specifically, there’s no need for humans to see the markup and it may as well be hidden. Of the three different types of Schema markup, JSON is my preferred type and Google lists it as their preferred type as well. Google hasn’t indicated there’s any disadvantage to using Microdata or RDFa, so there shouldn’t be any difference using those if that’s your preference. I have not yet found a Schema generator that will generate JSON schema, likely because of its added complexity over Microdata. Nevertheless, it’s not that hard and can be done using a code editor (if you don’t have one, Notepad is fine). Once your Schema is ready, run the markup through Google’s Structured Data Testing Tool (make sure to select ‘Code Snippet’) and look for errors. If there are none, proceed, otherwise look at what Google flags and make edits to correct it as needed. Keep an eye out for rogue semi-colons or curly quotation marks. A common pitfall is to add the Schema directly to the post/page using the Text editor. I don’t recommend doing it that way. It’s too easy for the Schema to get inadvertently edited or wiped out entirely if changes are made to the page. Instead, I recommend adding the Schema using custom fields. 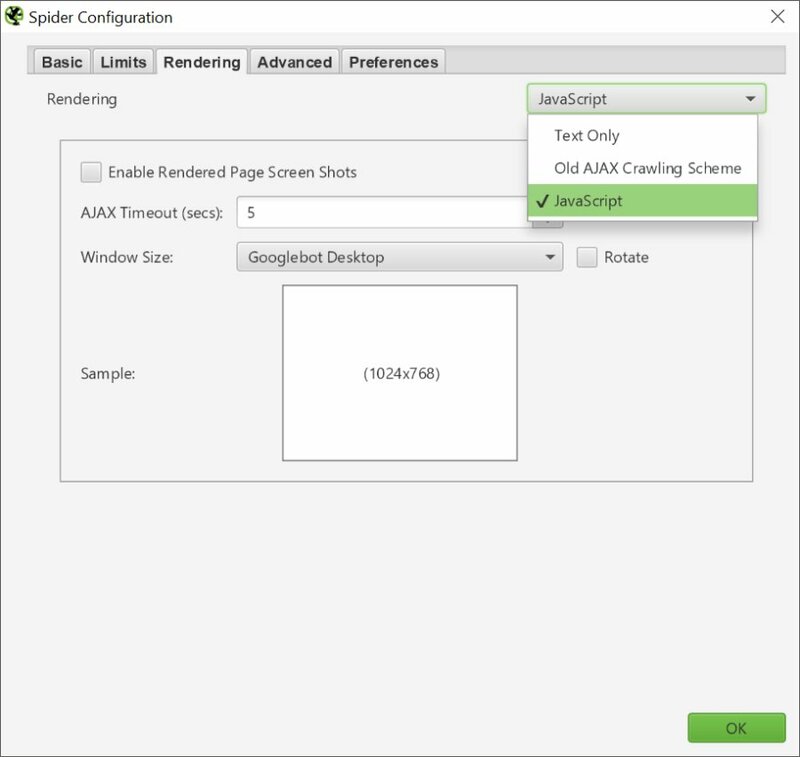 Torquemag has a great write up on how to add a custom field for Schema markup with minimal work. 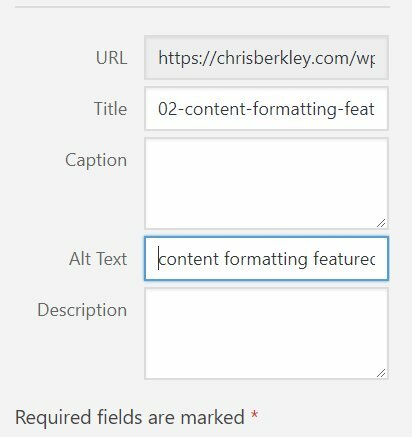 Once you setup custom fields, you can add your Schema markup into the custom fields box below the editor and then update or publish the post once complete. I always re-test my Schema markup once the page is live or updated. It may be unnecessary, but does add an extra layer of assurance and lets me know there was no user error between my initial test and when I published the page. The likelihood of this happening is reduced by using custom fields in place of inserting Schema directly into the editor. YouTube transcripts can be critical for SEO purposes because they’re a text-based version of the video in a fully crawlable form. The question becomes: how to integrate them with a landing page? My recommendation (and what I do) is this: If you already have page content written and it covers an identical or similar topic to your video, there’s no need to add a transcript to the landing page. If you do insist on adding one, you may want to do it via an accordion that collapses and expands – this way the layout and flow of your written content isn’t impacted, but the transcript is still readily available and the user experience is preserved. If you don’t have landing page copy written, consider adding the transcript in its entirety. That’s an easy way to add crawlable, text-based content, without the extra effort of writing an entire new page of content. Your site, your videos and your audience should help you determine which method to go with. On pages where I have both original written content and a video, I allow visitors to choose the user experience that works best for them. It’s hard to determine and show the impact of these optimizations. From an anecdotal standpoint, I can say that I’ve had good success getting both pages AND YouTube videos to rank in organic search results, in some cases right next to each other. 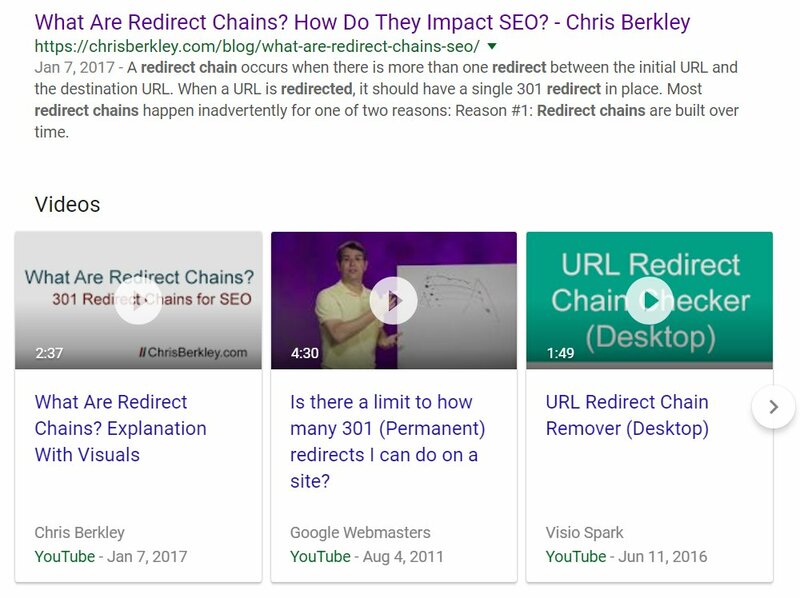 One of my posts about redirect chains made it into the first position of the video carousel, with my normal organic result immediately above it. 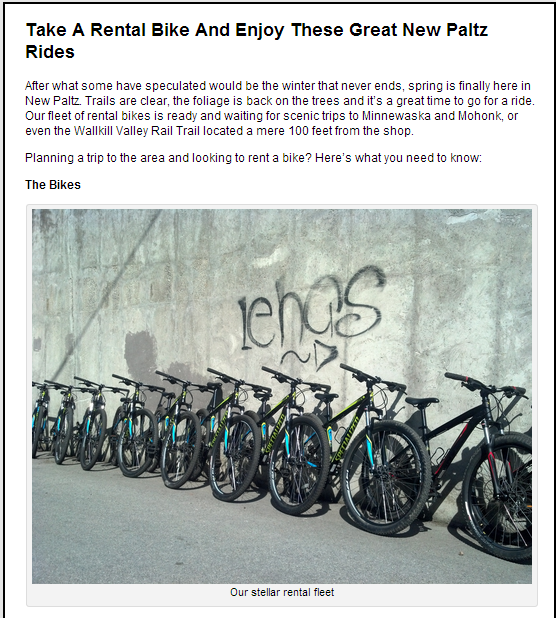 If you have questions, feel free to tweet me @BerkleyBikes (preferred) or comment here. 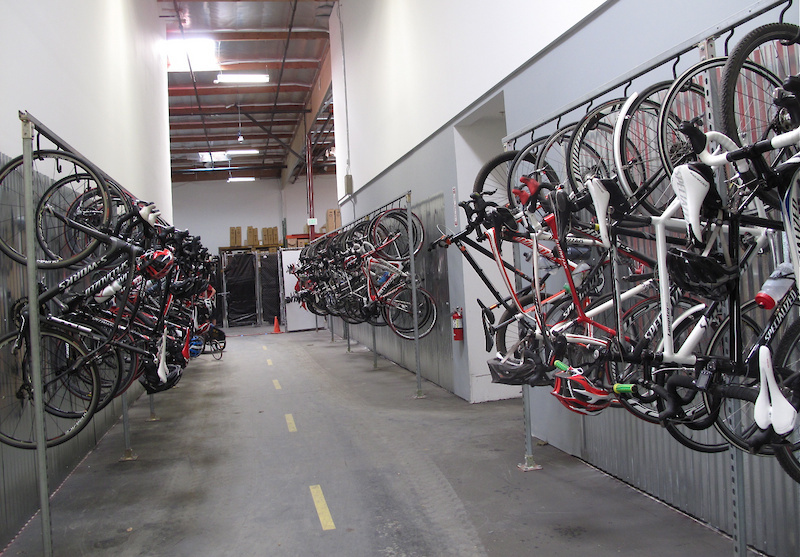 As social media manager for Bicycle Depot, I used social media and content marketing to drive business. Not long ago a piece of content, combined with smart social media strategy achieved great success locally. Here’s how and why several digital marketing strategies came together successfully. San Francisco, California. Boulder, Colorado. Washington, DC. 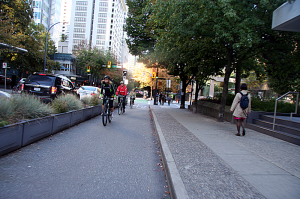 Despite the diversity of these cities, they all have one thing in common – they rank highly on Bicycling Magazine’s list of the Top 50 Bike Friendly Cities in the U.S. What makes these cities bike friendly and what can we learn from them? I’m really excited that the official trailer for From Where We Stand was just released this past week! From Where We Stand is a new mountain bike film promoted by Brice Shirbach of Fattirefests.com. 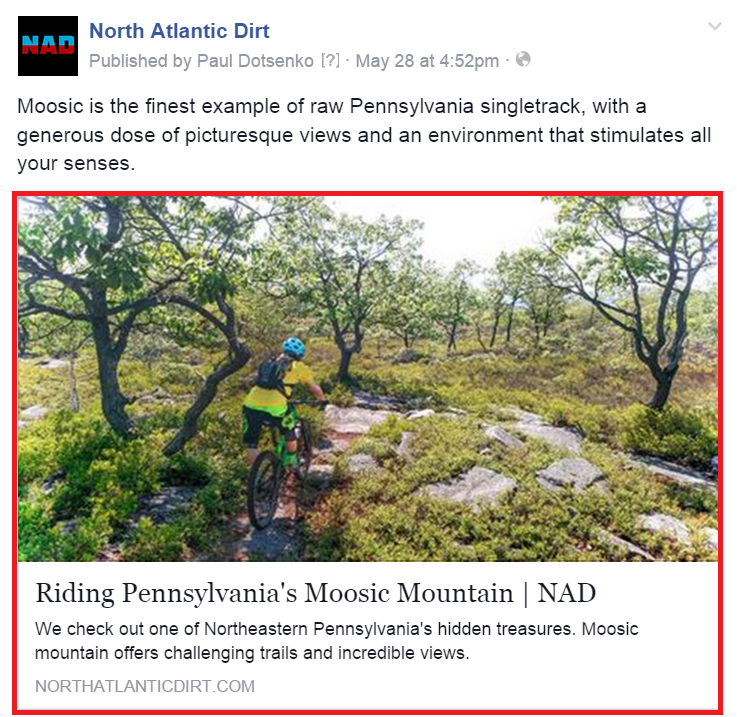 It’s a project he launched to promote riding locations on the east coast, which traditionally doesn’t get as much attention from the mountain bike media. Way back when Brice was soliciting advice for filming locations, I suggested he look at Oneonta, NY as a potential location. During my four years as a student at SUNY Oneonta I spent a lot of time building and rehabilitating trails and many of those trails are featured prominently in the film. In recent years the town has embraced its rapidly growing cycling community and with help from some community leaders they welcomed Brice and the production crew with open arms. The Oneonta segment features local riders too – namely fellow trail builder Sam Brown-Shaklee and Binghamton-based enduro pro Paul Dotsenko. The footage made available so far is fantastic and I can’t wait to see the final cut, to be released later this month. Seeing the fruits of my labor in a professional production like this one is a tremendously gratifying feeling and brings some attention to a very underrated riding area.